When he had gone about three blocks, he met an old man. He was sitting in the park, just staring at some pigeons. The boy sat down next to him and opened his suitcase. 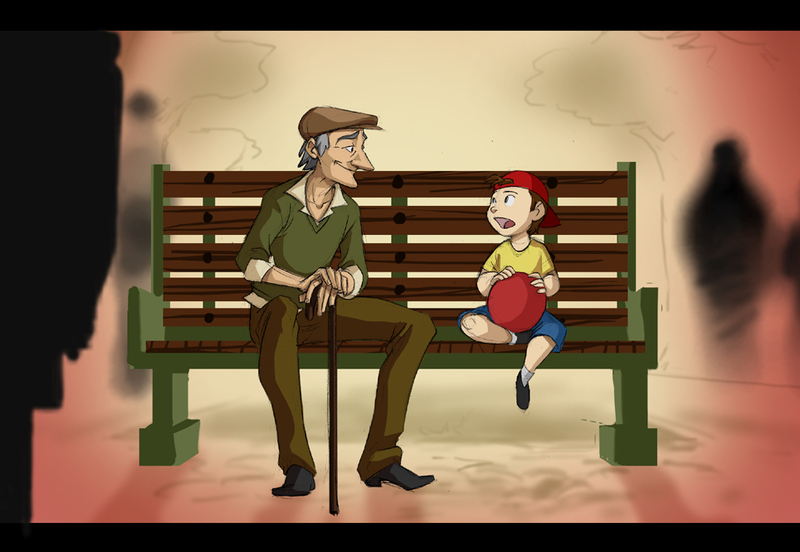 He was about to take a drink from his root beer when he noticed that the old man looked hungry, so he offered him some chips He gratefully accepted it and smiled at him. Where have you seen the face of God recently?